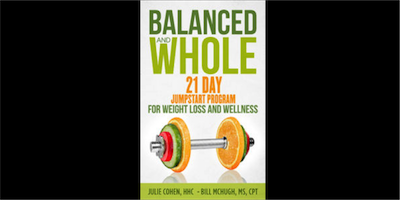 The Balanced and Whole 21-Day Jumpstart for Wellness and Weight Loss is here to help! I can help you LISTEN. If you’re like I was, you spend most of your time working and/or taking care of others, leaving yourself stretched too thin and struggling with your energy level. By making changes to the foods you eat and adopting healthy strategies you too can radically increase your energy and vitality and acquire the tools for a lifetime of balance and health. If you’re mad enough to finally do something to improve your situation, contact me today! Julie gives an introduction to healthy eating habits and an active lifestyle in this article published in the Daily Record on April 27, 2016. I help people who are struggling with the stress and demands of work, family or parenthood to find balance and lead a healthier lifestyle. A healthy lifestyle begins with healthy habits. I help individuals and groups build and maintain healthy habits with the right balance of food, exercise and the skills they need to achieve their health and weight loss goals. If you need support in creating a life that truly nourishes you, I would love to work with you to create a custom program to help you achieve your health goals.